It's getting really hot here in Texas again...and we have been making and eating lots of ice cream! For me, nothing tastes better than fruit flavored ice cream like my favorite mango, avocado and langkasuy...but for Ryan and the girls, cookies 'n cream and this Peanut Butter and Strawberry Jam Ice Cream are always on the top of their list. I'm really not much of a peanut butter person...but everyone here loves it...and I love them, so I can't complain! Since the start of spring, I have no choice but to always give in to their request of making this Peanut Butter and Strawberry Jam Ice Cream. Well, I must admit that I'm beginning to like it too! The very smooth texture that the peanut butter brings to this ice cream is something to fall in love with...and I must say that the combination of peanut butter and strawberry jam (especially homemade one) is truly wonderful. I guess I will also give in to Ryan's request of making Peanut Butter and Cheese Ice Cream very soon! 1. In a bowl, combine strawberry jam and ½ cup heavy whipping cream. Mix until well blended. 2. 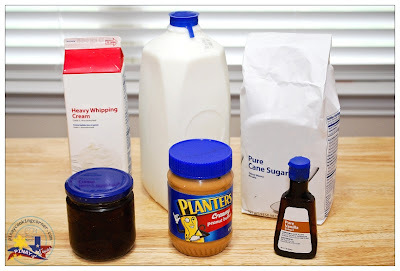 In a blender, whip peanut butter, vanilla extract, sugar, milk and remaining heavy whipping cream until fluffy then fold into jam and cream mixture. 3. Chill the mixture for at least one hour. 4. Pour in your ice cream maker and churn. Mix about 25-30 minutes or according to manufacturer's instructions. Transfer ice cream in a tightly sealed container and freeze until ready to serve. Store-bought ice cream containers will work well for this. * If you don't have an ice cream maker, pour the ice cream mixture into a wide, airtight container and put in refrigerator for at least 1 hour then place in the freezer for 30 minutes. 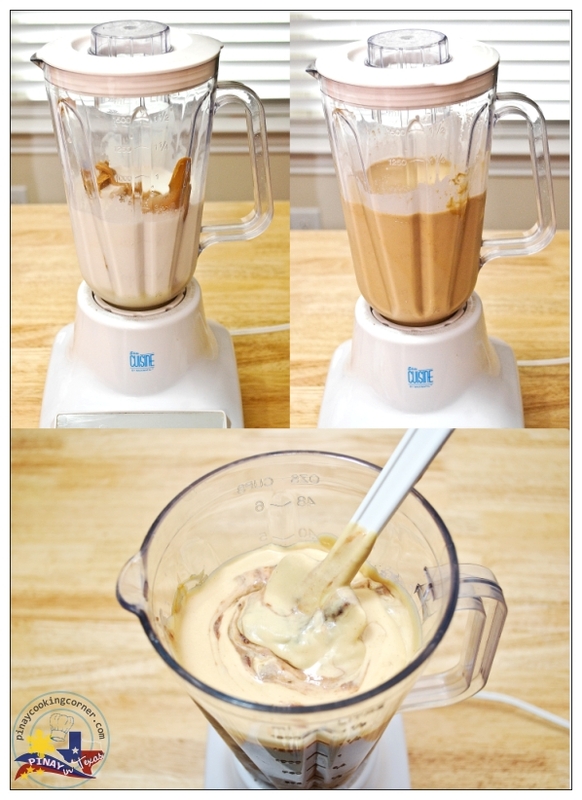 Beat ice cream mixture with an electric mixer until smooth. Put it back in the freezer for 40 minutes - then beat with an electric mixer. Repeat "40 minute freeze-then-beat cycle" 3 times. You can choose to either beat your ice cream mixture every 40 minutes until frozen or let your ice cream mixture freeze on its own. Either method works fine but the more you beat it, the softer it will be. These ice cream look mouth-watering, Tina! It's hot here today too and I so wish I had these in front of me now... Thank you for sharing! 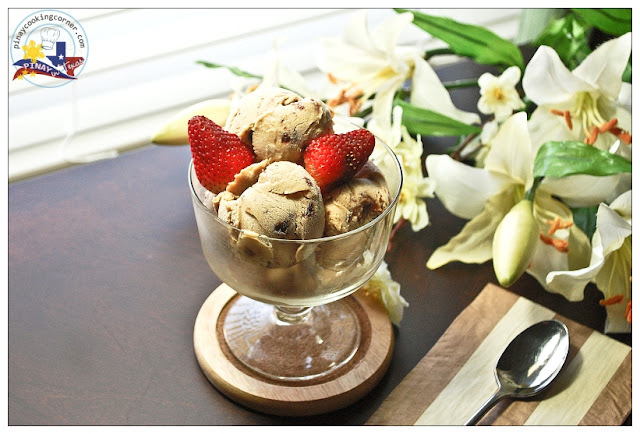 Is getting hotter here too,but not too hot :) I love peanut butter,I will enjoy this Ice cream in hot summer day,great recipe Tina,even you don't like to much peanut butter,but you still make it for them,,lovely !! I'm gonna try this combo sometime :D Love it ! Delicious ice cream Tina, It is difficult to find flavors in store. Home made is always best. What an unusual combination! I must try it one day. In the meantime I am waiting for the hot weather to come. I hope our summer will be better than this year's spring. I am just ok with peanut butter taste but hei, why not as a once a while treat because when it comes to food, I don't really fuzz and just go with the flow. Lovely ice-cream Tina and it will be great for out hot weather our here too, what more eaten with the fruits. Yum and more yum to this ice-cream. oh my! I love everything about this! I want to make this RIGHT NOW. Beautifully done, Tina! I stink at photographing ice cream, and yours looks especially enticing...yum! 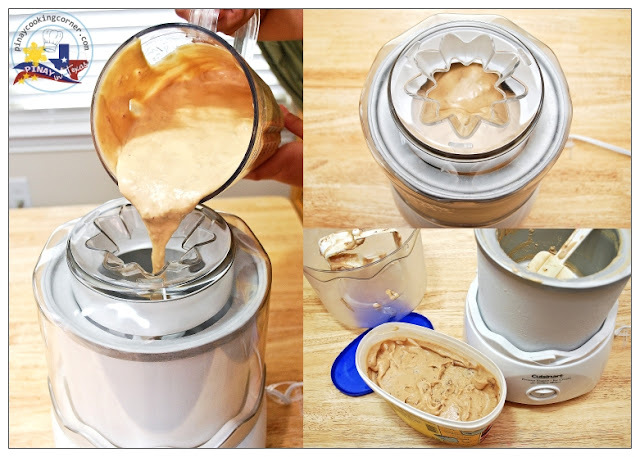 You know, I just bought an ice cream maker (finally) and your recipe is good to try. Perfect for a weather that is really getting warm. Thank you, Tina! I really couldn't eat enough of this! Looks so delicious. Tina, I like all flavors in ice cream but anything nutty is my favorite. Even though there are no nuts in it but it does have nutty flavor. Can never resist ice-creams! I'm a big kid, Tina! Won't u send me some?? 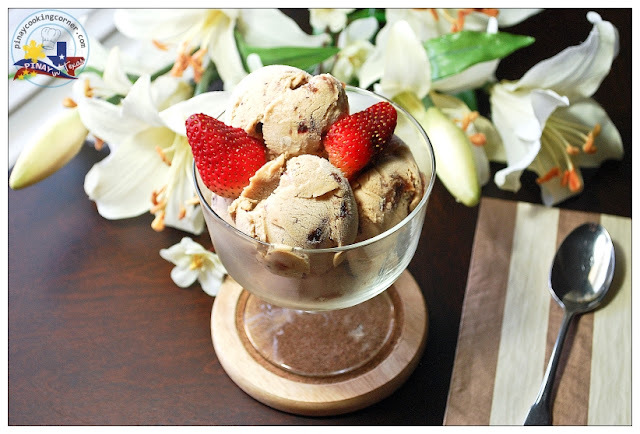 drooling over the pics....what a wonderul ice cream...love the flavors u hav used !!! Hi Tina! I hope you are enjoying the long weekend so far. 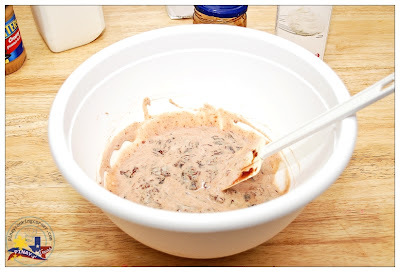 I'm excited that you started sharing ice cream recipe! Here it's still 60F and not hot at all but I'm so ready for checking out your new ice cream recipes! I've never seen peanut butter in ice cream before. Sounds interesting!! And not to mention strawberry jam in it. So creative! peanut butter-N-jelly, YES, PLEASE! YUM! What a very creative ice cream! I'm all for bypassing the bread and just combining the milk and PB&J! I can eat ice cream all day long and all flavours! I love this combination, never tasted anything like this! This is a perfect way to treat your loved ones Tina! I bet this ice cream would be a favorite of my son's too! This looks fabulous sweetie! I love ice cream and I imagine a pbj and ice cream to be amazing! I have nominated you on my blog for an excellence in food story telling award! Stop by my site or http://foodstoriesblog.com/food-stories-award/! To find out the details! Hi Tina, I love ice cream regardless any flavors. Yours look good, peanuts butter should taste very delicious. yummy! Hi Tina, I'm hosting a giveaway over at my blog and would love for you to stop by and participate. Yummy.... peanut butter ice cream... will try this out using chunky peanut butter for more texture... maybe i should use peanut brittle as well? hhmmm?!!!!! This sounds so good, Tina. Like you, I like fruity ice cream. I know some people here in my house who'll go gaga over this. Maybe I would, too. This sounds dangerously addictive and delicious! I would love to make some too, and perhaps throw in some choc chips or choc coated peanuts or something....great recipe! Thanks! This is my kind of ice cream! I could easily eat the whole batch!